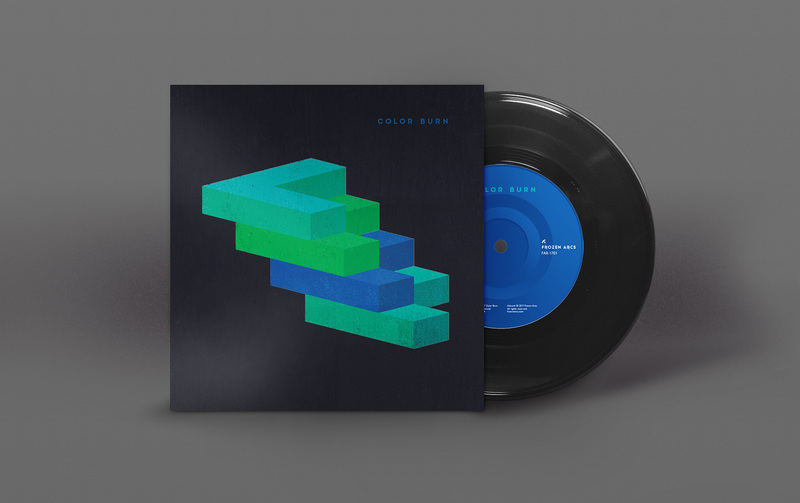 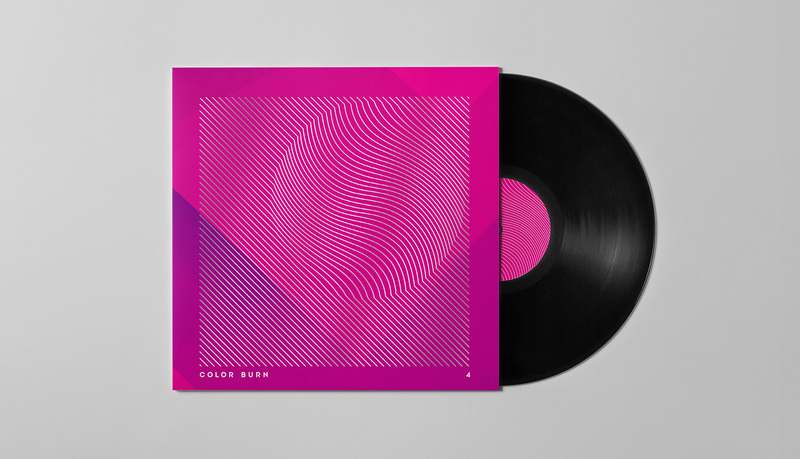 Album cover designs for three releases by Color Burn. 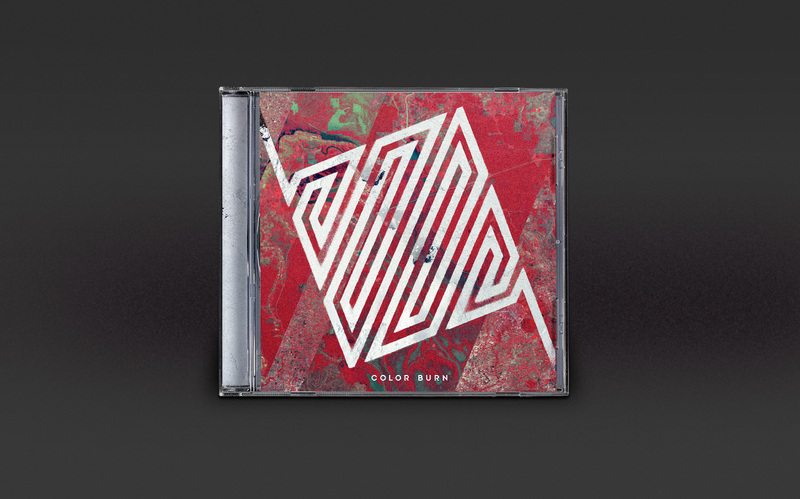 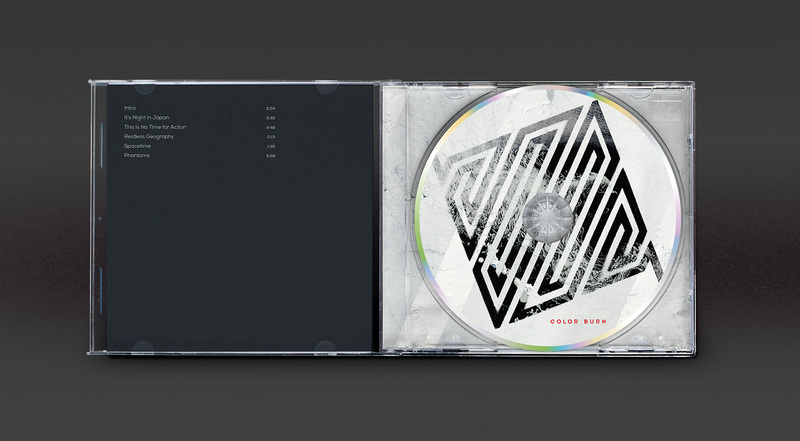 The albums are being released online primarily, so the key artwork is the design in the first image, though the printed packaging is shown here. 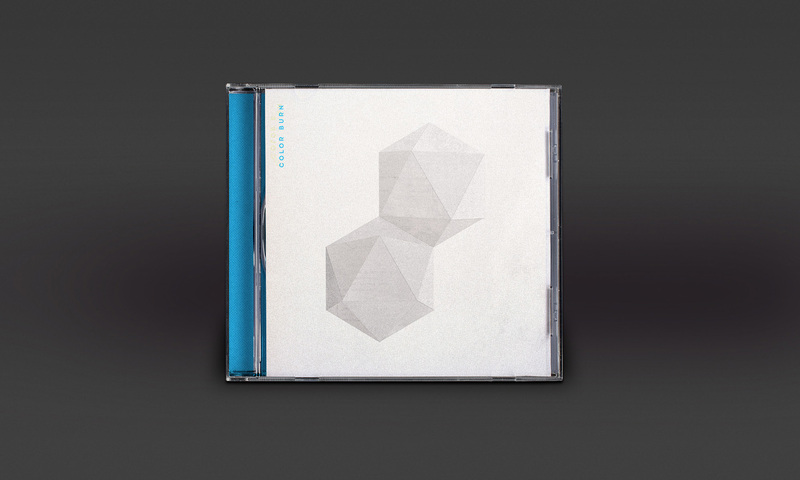 The artwork employs geometric forms created from handmade/collaged elements, and subtle, custom type for the band’s name.